Outwardly, striving and obedience may look exactly the same. It is the posture of our hearts that determine if we are acting with confidence. The week was spent running errands, making phone calls, meeting with other people, processing what was gained from the meetings, making stuff, prepping meals, laundry, loving on children, correcting children, loving on children more. Tiring? Yes. Peaceful? Actually, yes. The following week followed the same pattern: On the go, checking stuff off the list. But it felt different. Everywhere I turned I seemed to be hitting a dead end. Nothing was going smoothly. Instead of tired and peaceful, I was exhausted and frantic. Outwardly, my actions looked exactly the same. Inwardly, I was drowning. 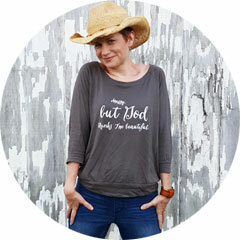 I can drive myself bonkers and wear myself out striving to do good things, giving things, ministry things. But if it is not what God wants me to do, or at the time He wants me to act, then it is the wrong thing and my work will not be fruitful. If I am striving to make things happen in my time and in my way, then I have made my ministry about myself. Striving leaves us looking for the next win, the next pat on the back, the next recognition. More than likely, we are looking to fill a void within ourselves, rather than serving out of an abundance. Rather than striving, we are to be obedient. Obedience may not bring any recognition from people. It will, however, bring us closer to our Lord. Only His love and affirmation will sustain us. Praise received from people runs empty very quickly. Trust me, as a self-proclaimed “Approval Junkie,” I know. Obedience doesn’t mean everything is suddenly simple. God still calls us to move forward. But our spirits are calm because the source of our energy is coming from Him. We are not mustering the energy from within ourselves. On the outside, striving and obedience can look very much alike. The difference lies within the posture of our heart. If we give, and do, out of our own will-power then we are going to end up depleted, exhausted, and burnt out. But, serving from His power and out of abundance leaves us fulfilled and at peace. 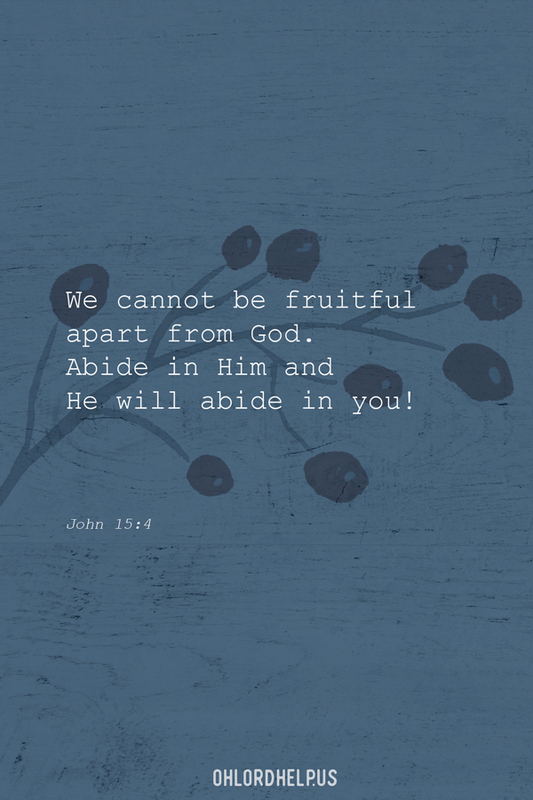 The only way to serve in this manner is to abide in His love. He is the source of our love to others. He is where our focus has to remain. And He is who brings us fulfillment and peace. 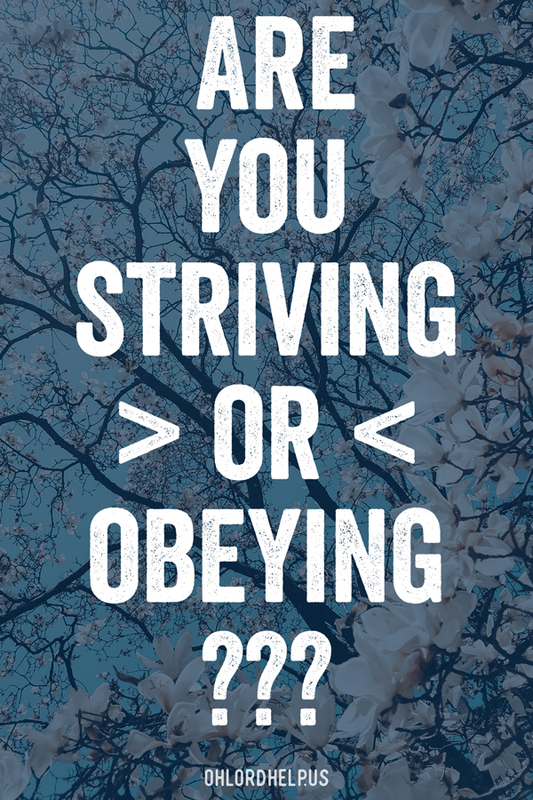 Are you striving, or obeying? It is a daily acknowledgment we each must recognize. This was such a timely message for me. I tend to run myself exhausted to the point where I can’t sleep at night because I can’t turn my brain off. Unfortunately, I’ve found myself in that place once again and was so encouraged by your wisdom! It has really challenged me to look at all the commitments I have throughout any given day, week, or month and to surrender them in obedience to the Lord. I love how the Lord provides encouragement and confirmation when going through seasons like this. Praying for you! Rachel!! 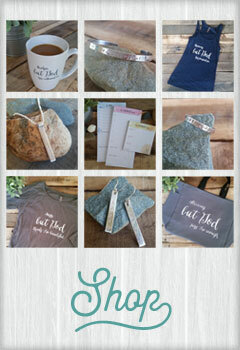 I am enjoying your posts and encourage you to keep preachin it girl! I just went live a few days ago and I would be honored if you would check it out. Scary step of obedience, but (like you said) my spirit is calm because He is my source of energy! Hi Cheryl! Thank you so much!! I am happy to take a look. And I’m excited to see you step out in obedience! !